Keeping track of your physical assets: devices, tools, equipment and real estate, to name a few, already requires managing and maintaining large amounts of information. Where are your assets? Who is using them? These are typical questions companies encounter on a daily basis and their answers are critical to maintain efficient operations. Errors in this information and delays in accessing asset data can result in loss of productivity and higher costs. But what happens when your assets start generating data of their own? With the advent of the Internet of Things (IoT), the amount of data that is created and distributed by assets is increasing exponentially, and it won’t be slowing down. In fact, by 2020 it is expected that a total of 24 billion IoT devices will be installed, with 11.2 billion of these installed by businesses1. This has served as a wakeup call, and organizations have started to realize that some of their current assets are already producing information which is not being used and that if they don’t analyze and produce actionable insights from all of this data they will be left behind. However, many companies don’t have the right processes or systems in place to ensure their analysis is accurate and not just garbage in, garbage out. How can you start benefiting from your asset data? Before you start creating data models and extracting data, your information needs to be ready for analysis. With vast amounts of information being produced by connected assets, you need to establish structured data policies to improve and maintain asset data quality. Without these policies, you can be quickly hampered by duplicate, inaccurate information that will affect your productivity and won’t allow you to analyze and take advantage of the data your assets are producing. Asset information that’s stored in multiple, disparate systems or using different platforms is hard to manage, access and search through. This encumbers any attempts to extract data for analysis and increases the risks of inaccuracies. As your assets produce more data, having a common, central repository for all of your asset information is absolutely necessary to both manage and analyze your asset information. To accurately analyze all the information your assets produce, their information needs to be properly associated with all the other data in your organization. We can go back to the question of who is using your assets (employee or customer data), where they are (location data) or what products they’re associated with (product data) to illustrate how important it is that your asset data is not disconnected. These relationships need to be in place for you to extract true value from any analysis. Although analyzing asset information can require complex reports, data models and large data sets, benefiting from the information produced by your assets can be as easy as having access to simple reports and dashboards. 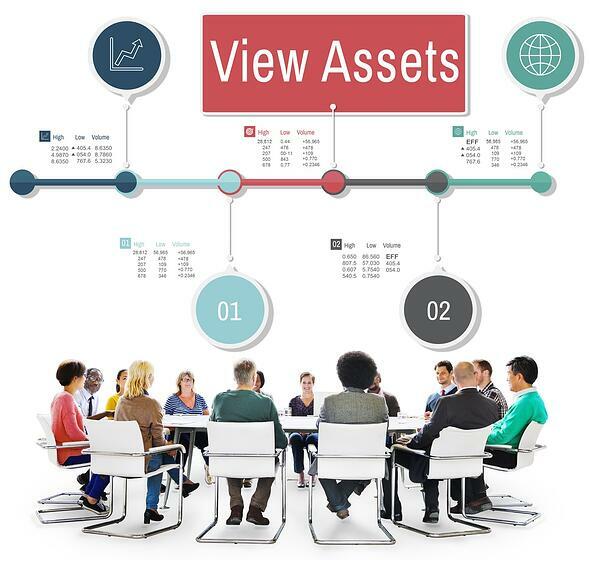 Furthermore, visible asset data can alert you to other outstanding issues and prompt you to investigate deeper into your assets’ information or usage which may eventually lead to undiscovered insights. While the above four items are required to get your asset data analysis-ready, how to achieve them can be challenging. As assets start producing more and more information, using independent systems to store and manage this data is cumbersome and will hinder your attempts to really tap into the advantages that your connected assets can provide.